Solves difficult distance-based applications including black foam on black plastic, black rubber in front of metal, multicolor packaging and targets of all colors. Continuous measurement of challenging targets from dark to reflective, out to 300 mm. 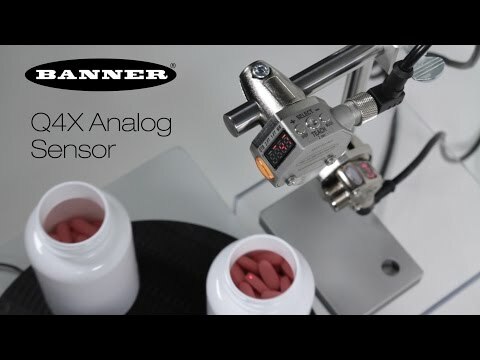 Class 1 laser CMOS sensor reduces sensor inventory with a reliable, durable sensor that solves the most challenging applications. Robust IP69K-rated FDA-grade stainless steel housing resists high-pressure, high-temperature washdown and chemical clean-in-place processes. 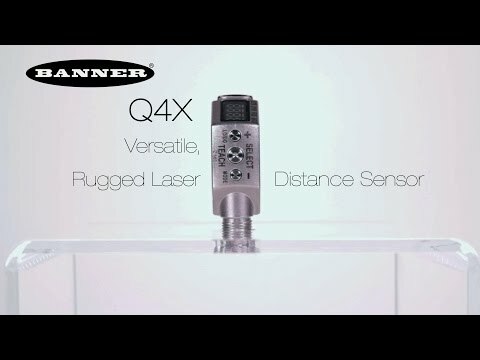 Banner's Q4X versatile, rugged laser distance sensor has an IP69K rating for use in wet and high-pressure washdown environments. 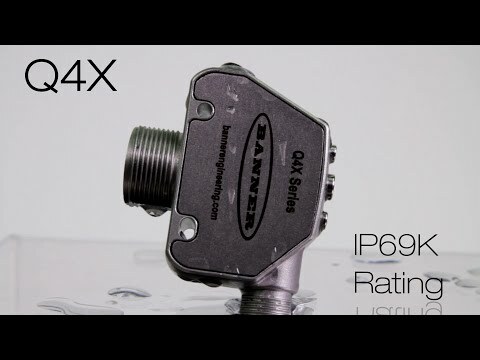 The IP69K rating is important for applications where high-pressure, high-temperature water and cleaning chemicals are used to spray down equipment and machines. 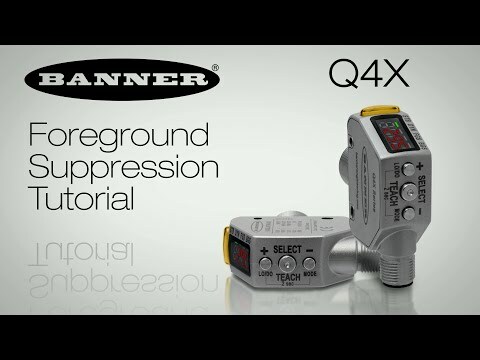 Using foreground suppression teach mode, also known as one-point window, the Q4X can reliably detect an upside down white bottle cap only 3.5 mm thick that is moving along a white conveyor. Banner's Q4X stainless steel laser measurement sensor solves even the most challenging applications. 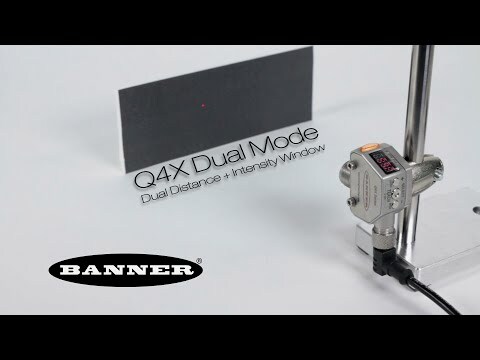 The Q4X detects any portion of consumers' products, from reflective to black surfaces.